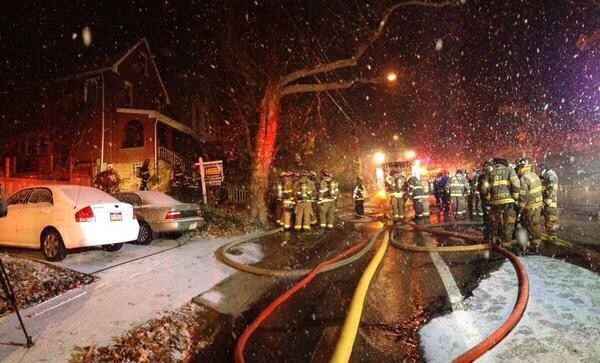 Shortly after midnight on Tuesday, 227 Rescue was requested on a 2nd alarm structure fire in Edgewood. 227RQ arrived on scene and staged for RIT in the front of the building. 227 Chief was assigned to “Safety Officer” for the fire. Crews were released from RIT and assisted with overhaul. 227 operated on scene for about 2 1/2 hours.